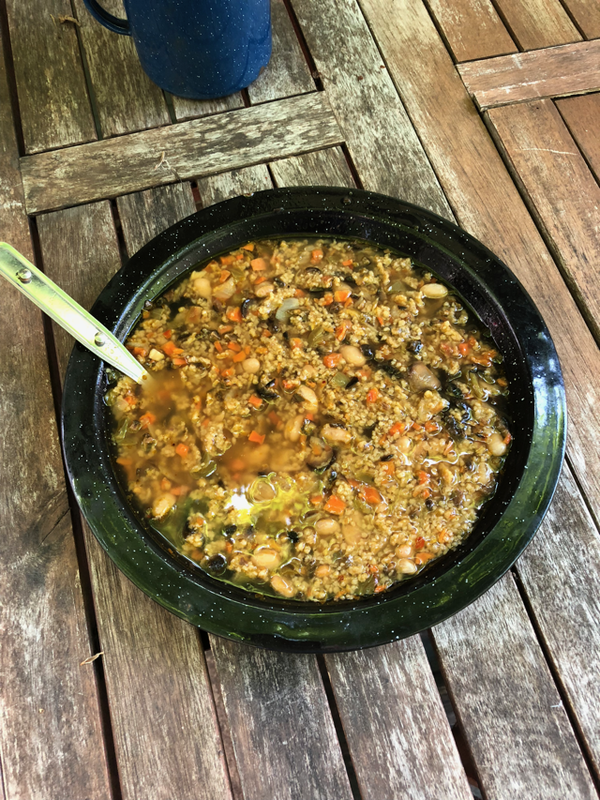 Mushrooms, carrots, bell pepper, beans, beef stock, honey, black olives, couscous, lemon juice. Pack Weight - Single: 99 grams. Double: 198 grams. Unique and Tasty! Just the meal after a day of backpacking! A wondrous blend of vegetables and spices. Really great in the cloder months.